Apple is selling the $1,000 iPhone X nowadays, and yeah, there is a place for it. Shockingly, when the "X" first came out, people were not only willing to pay a high premium for Apple's latest, but they waited in line to do so. Think about that -- queuing up to part with a grand! If you have that kind of money, more power to you, but I know a lot of people are hurting financially out there -- the iPhone X is simply not achievable for them. If you don't have a lot of money, do not worry -- you can still get a quality smartphone for much less. You can opt for an older iPhone model, or if you are particularly low on cash, choose Android. 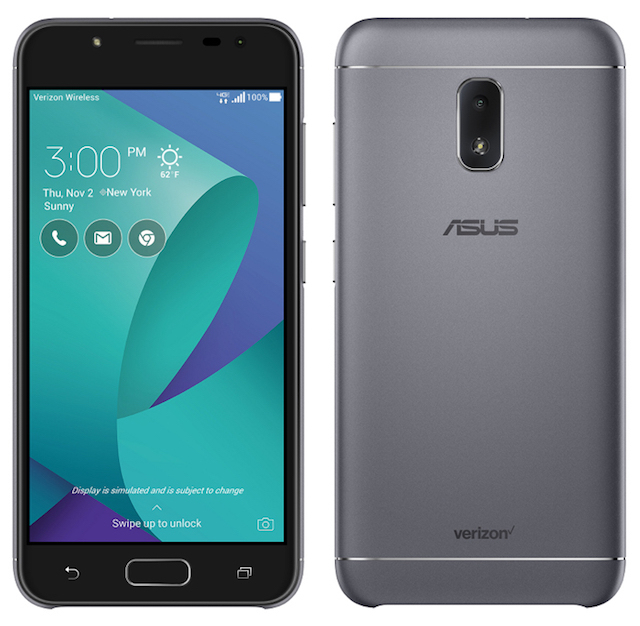 Google's operating system powers many affordable devices, and now, ASUS unveils a very intriguing model that is exclusive to Verizon. The "ZenFone V Live," as it is called, has respectable specifications, looks great, and best of all, it costs an insanely low $168. "The ASUS ZenFone V Live comes in a 16GB/2GB configuration and runs Android 7.1.1. It features a 5-inch 1280x720 HD display for 294 PPI with a 75-percent screen-to-body ratio. The Snapdragon 425 platform ensures that the ZenFone V Live's 3000mAh battery provides multi-day battery life while also providing smooth performance when browsing the web and streaming videos. The ZenFone V includes premium features, such as a metal body design, curved glass and a quick fingerprint reader. It also includes a USB Type-C port, providing compatibility with the latest devices and accessories, and a SIM tray with a secondary spot for a micro-SD card of up to 128GB," says ASUS. The company also says, "The ZenFone V Live features a rear 13MP camera that provides class-leading low light performance and a 5MP front facing camera capable of clear and detailed livestreaming on Verizon’s lightning fast LTE network. The built-in Live Beautification for Facebook, Instagram, and YouTube make it extra easy to get the perfect look by offering options to adjust and control facial features, complexion and skin blemishes. The ASUS PixelMaster camera features low-light, beautification, super resolution, children, depth-of-field, panorama, slow motion and time-lapse modes for a multitude of ways to capture and share meaningful experiences." ASUS shares the following specifications. I know what you are thinking -- this ASUS ZenFone V Live Android smartphone doesn't compare at all to the iPhone X. Yeah, you would be right. Heck, it doesn't even compare to the older iPhone 6, 6s, or 7. But those Apple devices can't be had for a total of $168 either. Sure, the 720p display is hardly top of the line, and the processor isn't a speed demon, but overall, it will run all your favorite apps just fine. If you want to buy your own ASUS ZenFone V Live, you can order it here. If you don't even have $168, you may still be in luck. Verizon could let you finance it for $7/month for two years -- interest free. With that said, even if you do have the money to buy it up front, you might as well finance it -- without interest, it is essentially "free money."